There’s nothing that a good meal, some sunshine and stellar waterfront views can’t beat. On the nights that you’re ready to put on your best outfit and head out of your apartment for some fine dining, seafood platters or specialty cocktails, Miami provides plenty of options. 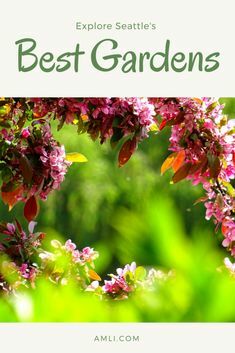 We’ve handpicked some options you’re sure to appreciate. All within a half hour from both AMLI Joya and AMLI Dadeland, be sure to bring your appetite, friends, loved ones, and camera to build some incredible memories and capture some amazing views! Located at the southernmost tip of Miami Beach in Southpoint Park, Smith & Wollensky offers incredible scenery with even better meal options. With choices such as chilled shellfish, dry-aged cuts and steaks, and a variety of specialty cocktails, wines and martinis, the time will pass quickly as you fall in love with your entire dining experience. A sophisticated venue, Smith & Wollensky would make the perfect spot for date night, anniversary dinner or celebrating a special occasion. Established in 1966, Garcia’s offers some of your favorite seafood dishes with a Cuban flare that your taste buds are sure to appreciate. Garcia’s prides themselves on offering some of the freshest seafood around, having their fish delivered daily straight from the boat! No matter what you’re in the mood for, odds are good that it’s available and fresh. Be sure to try out their lobster ravioli and mahi-mahi, or switch things up with their butterfly snapper or Chilean seabass. A short 30-minute drive from our Dadeland apartments, the Rusty Pelican is a hot spot for locals, tourists and celebrities alike. With some of the best views of downtown Miami’s skyline, Rusty Pelican provides you with a chic and sophisticated dining experience that everyone is sure to enjoy. With a wide variety of meal options, take your pick from the beloved caviar and champagne tasting, to a range of seafood, steaks, sushi and sashimi. On weekends, indulge in brunch, where live entertainment and bloody marys are guaranteed to assist you with having the best Sunday ever. The largest restaurant on our list, Seaspice Brasserie & Lounge includes seating for 350 people, offering a classic and cultured dining experience for all. With such a spacious venue, take your pick of eating at the garden bar, covered patio or main dining room and bar. Seaspice’s wide variety of dishes include an array of seafood, steaks, pastas and casseroles, guaranteeing your satisfaction. Just remember to save some room for dessert! If you’re not in the mood for a heavy lunch or dinner, make your way over to Seaspice on Saturdays and Sundays to enjoy brunch. Interested in seeing more articles like this? 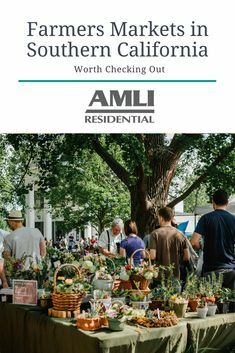 Be sure to stay tuned with AMLI Residential’s blog!